Princess Alice of Battenberg was bornon February 25, 1885 in Windsor Castle, Windsor, United Kingdom, British, is Princess Andrew of Greece and Denmark. 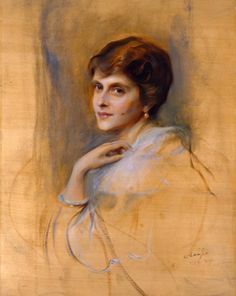 Princess Andrew of Greece and Denmark, also known as Princess Victoria Alice Elizabeth Julia Marie of Battenberg, was the mother of Prince Philip, Duke of Edinburgh and mother-in-law of Queen Elizabeth II. She was born in England as the great-granddaughter of Queen Victoria and the eldest child/daughter of Prince Louis of Battenberg. 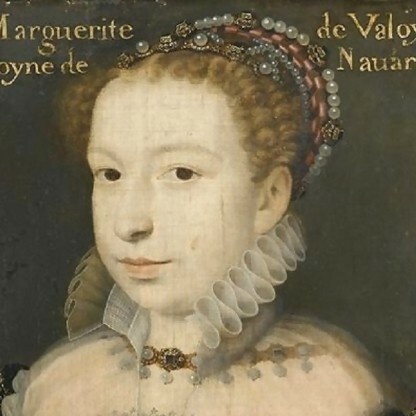 At the time of her birth, she was considered a slow child, but later it turned out that she was suffering from a hearing condition which made her prone to congenital deafness. In the early 1900s, she fell in love with Prince Andrew of Greece and Denmark and it was deemed a perfect royal match, and by the next year, the two young lovers were married. 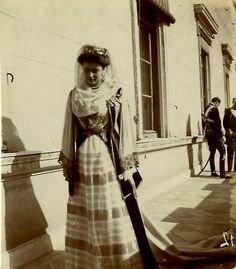 But she couldn’t bring her good luck with her as right after their marriage, the royal Greek family was forced into exile and eventually when the monarchy in Greece was restored in 1935; their life became stable once again. Although she was a beautiful and kind woman, she was prone to severe illness and by 1930 she was already suffering from schizophrenia, a mental illness. She was sent out for treatment and after returning back, she dedicated her life to charity. The wars, particularly the Second World War, affected her on a deeper level, and she offered refuge to Jews, being targeted by Nazi Germany. She was honoured with the ‘Righteous among the nations’ title for her efforts. She dedicated her later life in the service of Christianity. She was christened Victoria Alice Elizabeth Julia Marie in Darmstadt on 25 April 1885. 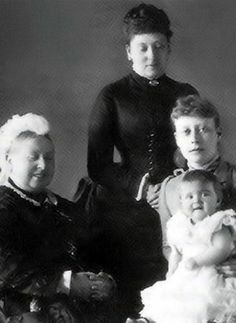 She had six godparents: her three surviving grandparents Grand Duke Louis IV of Hesse, Prince Alexander of Hesse and by Rhine, and Julia, Princess of Battenberg; her aunts Grand Duchess Elizabeth Fyodorovna of Russia and Princess Marie of Erbach-Schönberg; and her great-grandmother Queen Victoria. Alice spent her childhood between Darmstadt, London, Jugenheim, and Malta (where her naval officer father was occasionally stationed). Her mother noticed that she was slow in learning to talk, and became concerned by her indistinct pronunciation. Eventually, she was diagnosed with congenital deafness after her grandmother identified the Problem and took her to see an ear specialist. With encouragement from her mother, Alice learned to both lip-read and speak in English and German. 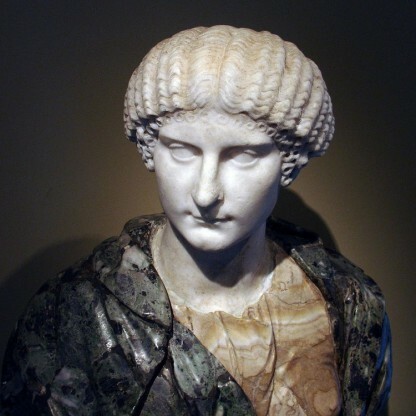 Educated privately, she studied French, and later, after her engagement, she learned Greek. 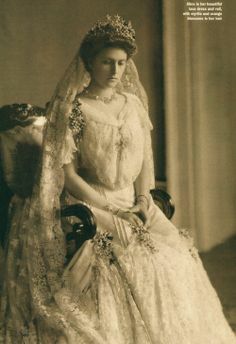 Her early years were spent in the company of her royal relatives, and she was a bridesmaid at the marriage of the Duke of York (later King George V) and Mary of Teck in 1893. A few weeks before her sixteenth birthday she attended the funeral of Queen Victoria in St George&apos;s Chapel, Windsor Castle, and shortly afterward she was confirmed in the Anglican faith. Princess Alice met and fell in love with Prince Andrew of Greece and Denmark (known as Andrea within the family), the fourth son of King George I and Queen Olga of Greece, while in London for King Edward VII&apos;s coronation in 1902. They married in a civil ceremony on 6 October 1903 at Darmstadt. The following day, there were two religious marriage ceremonies; one Lutheran in the Evangelical Castle Church, and one Greek Orthodox in the Russian Chapel on the Mathildenhöhe. 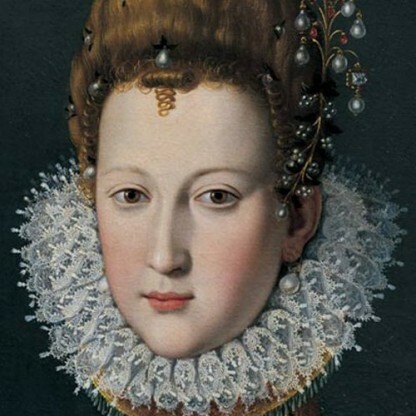 She adopted the style of her husband, becoming "Princess Andrew". The bride and groom were closely related to the ruling houses of the United Kingdom, Germany, Russia, Denmark, and Greece; their wedding was one of the great gatherings of the descendants of Queen Victoria and Christian IX of Denmark held before World War I. After their marriage, Prince Andrew continued his career in the military and Princess Andrew became involved in charity work. 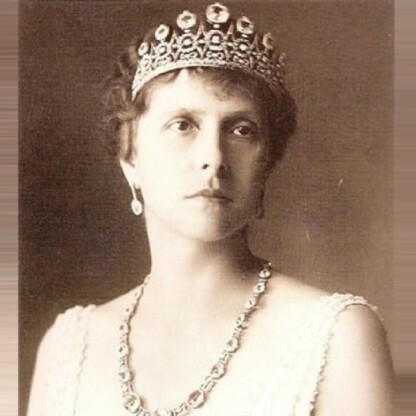 In 1908, she visited Russia for the wedding of Grand Duchess Marie of Russia and Prince william of Sweden. 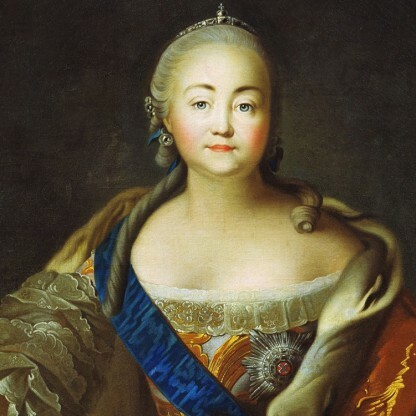 While there, she talked with her aunt, Grand Duchess Elizabeth Fyodorovna, who was formulating plans for the foundation of a religious order of Nurses. 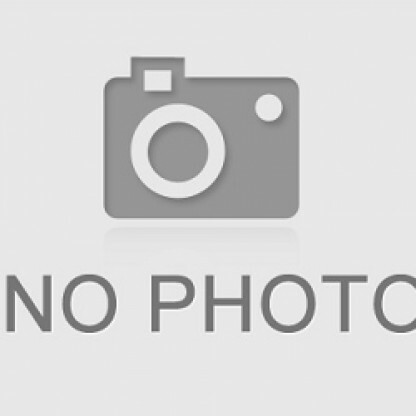 Princess Andrew attended the laying of the foundation stone for her aunt&apos;s new church. 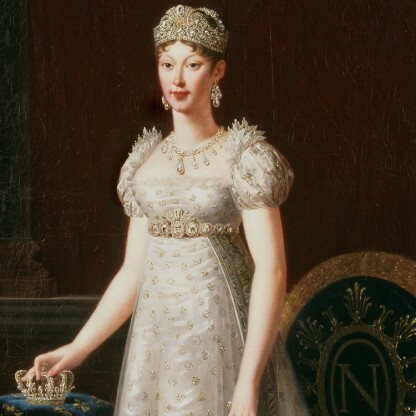 Later in the year, the Grand Duchess began giving away all her possessions in preparation for a more spiritual life. On their return to Greece, Prince and Princess Andrew found the political situation worsening, as the Athens government had refused to support the Cretan parliament, which had called for the union of Crete (still nominally part of the Ottoman Empire) with the Greek mainland. A group of dissatisfied officers formed a Greek nationalist Military League that eventually led to Prince Andrew&apos;s resignation from the army and the rise to power of Eleftherios Venizelos. With the advent of the Balkan Wars, Prince Andrew was reinstated in the army and Princess Andrew acted as a nurse, assisting at operations and setting up field hospitals, work for which King George V awarded her the Royal Red Cross in 1913. During World War I, her brother-in-law, King Constantine of Greece, followed a neutrality policy despite the democratically elected government of Venizelos supporting the Allies. 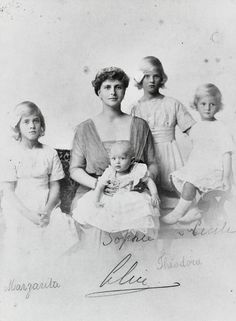 Princess Andrew and her children were forced to shelter in the palace cellars during the French bombardment of Athens on 1 December 1916. By June 1917, the King&apos;s neutrality policy had become so untenable that she and other members of the Greek royal family were forced into exile when her brother-in-law abdicated. For the next few years, most of the Greek royal family lived in Switzerland. The global war effectively ended much of the political power of Europe&apos;s dynasties. 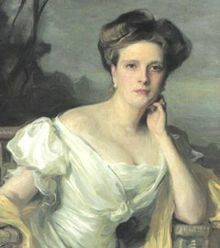 The naval career of her father, Prince Louis of Battenberg, had collapsed at the beginning of the war in the face of anti-German sentiment in Britain. At the request of King George V, he relinquished the Hessian title Prince of Battenberg and the style of Serene Highness on 14 July 1917 and anglicized the family name to Mountbatten. The following day, the King created him Marquess of Milford Haven in the peerage of the United Kingdom. 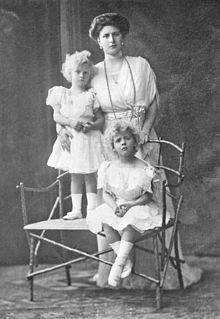 The following year, two of her aunts, Alix, Empress of Russia, and Grand Duchess Elizabeth Fyodorovna were murdered by Bolsheviks after the Russian revolution. At the end of the war the Russian, German and Austro-Hungarian empires had fallen, and Princess Andrew&apos;s uncle, Ernest Louis, Grand Duke of Hesse, was deposed. On King Constantine&apos;s restoration in 1920, they briefly returned to Greece, taking up residence at Mon Repos on Corfu. But after the defeat of the Hellenic Army in the Greco-Turkish War, a Revolutionary Committee under the leadership of Colonels Nikolaos Plastiras and Stylianos Gonatas seized power and forced King Constantine into exile once again. Prince Andrew, who had served as commander of the Second Army Corps during the war, was arrested. Several former ministers and generals arrested at the same time were shot following a brief trial, and British diplomats assumed that Prince Andrew was also in mortal danger. After a show trial he was sentenced to banishment, and Prince and Princess Andrew and their children fled Greece aboard a British cruiser, HMS Calypso, under the protection of the British naval attaché, Commander Gerald Talbot. The family settled in a small house loaned to them by Princess George of Greece at Saint-Cloud, on the outskirts of Paris, where Princess Andrew helped in a charity shop for Greek refugees. She became deeply religious, and on 20 October 1928 entered the Greek Orthodox Church. That winter, she translated her husband&apos;s defence of his actions during the Greco-Turkish War into English. Soon afterward, she began claiming that she was receiving Divine messages and that she had healing powers. In 1930, after suffering a severe nervous breakdown, Princess Andrew was diagnosed with paranoid schizophrenia, first by Thomas Ross, a Psychiatrist who specialised in shell-shock, and subsequently by Sir Maurice Craig, who treated the Future King George VI before he had speech therapy. The diagnosis was confirmed at Dr Ernst Simmel&apos;s sanatorium at Tegel, Berlin. She was forcibly removed from her family and placed in Dr Ludwig Binswanger&apos;s sanatorium in Kreuzlingen, Switzerland. It was a famous and well-respected institution with several Celebrity patients, including Vaslav Nijinsky, the ballet Dancer and Choreographer, who was there at the same time as Princess Andrew. Binswanger also diagnosed the Princess with schizophrenia. Both he and Simmel consulted Sigmund Freud who believed that her delusions were the result of sexual frustration. He recommended "X-raying her ovaries in order to kill off her libido." Princess Andrew protested her sanity and repeatedly tried to leave the asylum. 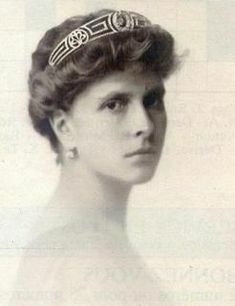 During Princess Andrew&apos;s long convalescence, she and Prince Andrew drifted apart, her daughters all married German princes in 1930 and 1931 (she did not attend any of the weddings), and Prince Philip went to England to stay with his uncles, Lord Louis Mountbatten and George Mountbatten, 2nd Marquess of Milford Haven, and his grandmother, the Dowager Marchioness of Milford Haven. Princess Andrew remained at Kreuzlingen for two years, but after a brief stay at a clinic in Meran was released and began an itinerant, incognito existence in Central Europe. She maintained contact with her mother, but broke off ties to the rest of her family until the end of 1936. In 1937, her daughter Cecilie, son-in-law and two of her grandchildren were killed in an air accident at Ostend; she and Prince Andrew met for the first time in six years at the funeral (Prince Philip, Lord Louis Mountbatten and Hermann Göring also attended). She resumed contact with her family, and in 1938 returned to Athens alone to work with the poor, living in a two-bedroomed flat near the Benaki Museum. The occupying forces apparently presumed Princess Andrew was pro-German, as one of her sons-in-law, Prince Christoph of Hesse, was a member of the NSDAP and the Waffen-SS, and another, Berthold, Margrave of Baden, had been invalided out of the German army in 1940 after an injury in France. Nonetheless, when visited by a German general who asked her, "Is there anything I can do for you? ", she replied, "You can take your troops out of my country." 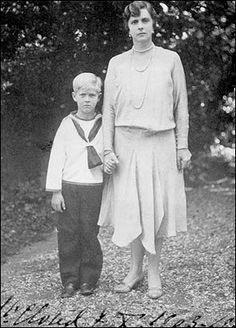 During World War II, Princess Andrew was in the difficult situation of having sons-in-law fighting on the German side and a son in the British Royal Navy. Her cousin, Prince Victor zu Erbach-Schönberg, was the German ambassador in Greece until the occupation of Athens by Axis forces in April 1941. 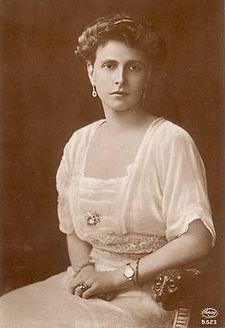 She and her sister-in-law, Princess Nicholas of Greece (the mother of Princess Marina, Duchess of Kent), lived in Athens for the duration of the war, while most of the Greek royal family remained in exile in South Africa. She moved out of her small flat and into her brother-in-law George&apos;s three-storey house in the centre of Athens. 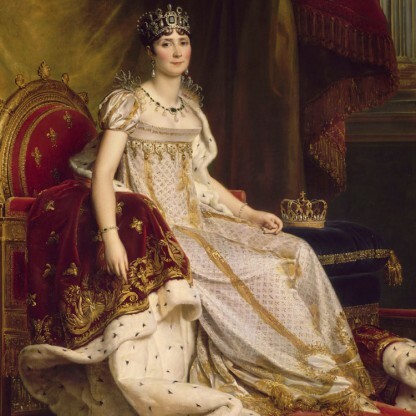 She worked for the Red Cross, helped organize soup kitchens for the starving populace and flew to Sweden to bring back medical supplies on the pretext of visiting her sister, Louise, who was married to the Crown Prince. She organized two shelters for orphaned and stray children, and a nursing circuit for poor neighbourhoods. After the fall of Italian dictator Benito Mussolini in September 1943, the German Army occupied Athens, where a minority of Greek Jews had sought refuge. The majority (about 60,000 out of a total population of 75,000) were deported to Nazi concentration camps, where all but 2,000 died. During this period, Princess Andrew hid Jewish widow Rachel Cohen and two of her five children, who sought to evade the Gestapo and deportation to the death camps. Earlier, in 1913, Rachel&apos;s husband, Haimaki Cohen, had aided King George I of Greece. In return, King George had offered him any Service that he could perform, should Cohen ever need it. Years later, during the Nazi threat, Cohen&apos;s son remembered this, and appealed to Princess Andrew, who, with Princess Nicholas, was one of only two remaining members of the royal family left in Greece. She honoured the promise and saved the Cohen family. When Athens was liberated in October 1944, Harold Macmillan visited Princess Andrew and described her as "living in humble, not to say somewhat squalid conditions". In a letter to her son, she admitted that in the last week before liberation she had had no food except bread and butter, and no meat for several months. By early December the situation in Athens had far from improved; Communist guerillas (ELAS) were fighting the British for control of the capital. As the fighting continued, Princess Andrew was informed that her husband had died, just as hopes of a post-war reunion of the couple were rising. They had not seen each other since 1939. During the fighting, to the dismay of the British, she insisted on walking the streets distributing rations to policemen and children in contravention of the curfew order. When told that she might have been shot by a stray bullet, she replied "they tell me that you don&apos;t hear the shot that kills you and in any case I am deaf. So, why worry about that?" Princess Andrew returned to Great Britain in April 1947 to attend the November wedding of her only son, Philip, to Princess Elizabeth, the elder daughter and heir presumptive of King George VI. She had some of her remaining jewels used in Princess Elizabeth&apos;s engagement ring. On the day of the wedding, her son was created Duke of Edinburgh by George VI. For the wedding ceremony, Princess Andrew sat at the head of her family on the north side of Westminster Abbey, opposite the King, Queen Elizabeth and Queen Mary. It was decided not to invite Princess Andrew&apos;s daughters to the wedding because of anti-German sentiment in Britain following World War II. In January 1949, the Princess founded a nursing order of Greek Orthodox nuns, the Christian Sisterhood of Martha and Mary, modelled after the convent that her aunt, the martyr Grand Duchess Elizabeth Fyodorovna, had founded in Russia in 1909. She trained on the Greek island of Tinos, established a home for the order in a hamlet north of Athens, and undertook two tours of the United States in 1950 and 1952 in an effort to raise funds. Her mother was baffled by her actions, "What can you say of a nun who smokes and plays canasta? ", she said. Her daughter-in-law became queen of the Commonwealth realms in 1952, and Princess Andrew attended her coronation in June 1953, wearing a two-tone grey dress and wimple in the style of her nun&apos;s habit. However, the order eventually failed through a lack of suitable applicants. In 1960, she visited India at the invitation of Rajkumari Amrit Kaur, who had been impressed by Princess Andrew&apos;s interest in Indian religious thought, and for her own spiritual quest. The trip was cut short when she unexpectedly took ill, and her sister-in-law, Edwina Mountbatten, who happened to be passing through Delhi on her own tour, had to smooth things with the Indian hosts who were taken aback at Princess Andrew&apos;s sudden change of plans. She later claimed she had had an out-of-body experience. Edwina continued her own tour, and died the following month. Increasingly deaf and in failing health, Princess Andrew left Greece for the last time following the 21 April 1967 Colonels&apos; Coup. Queen Elizabeth II and the Duke of Edinburgh invited Princess Andrew to reside permanently at Buckingham Palace in London. King Constantine II of Greece and Queen Anne-Marie went into exile that December after a failed royalist counter-coup. Despite suggestions of senility in later life, Princess Andrew remained lucid but physically frail. She died at Buckingham Palace on 5 December 1969. She left no possessions, having given everything away. 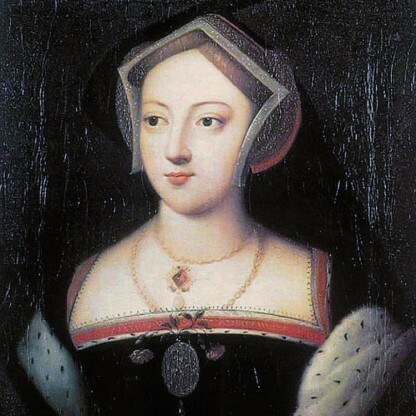 Initially her remains were placed in the Royal Crypt in St George&apos;s Chapel, Windsor Castle, but before she died she had expressed her wish to be buried at the Convent of Saint Mary Magdalene in Gethsemane on the Mount of Olives in Jerusalem (near her aunt Grand Duchess Elizabeth Feodorovna, a Russian Orthodox saint). When her daughter, Princess George of Hanover, complained that it would be too far away for them to visit her grave, Princess Andrew jested, "Nonsense, there&apos;s a perfectly good bus Service!" Her wish was realized on 3 August 1988 when her remains were transferred to her final resting place in a crypt below the church. On 31 October 1994 Princess Andrew&apos;s two surviving children, the Duke of Edinburgh and Princess George of Hanover, went to Yad Vashem (the Holocaust Memorial) in Jerusalem to witness a ceremony honouring her as "Righteous Among the Nations" for having hidden the Cohens in her house in Athens during the Second World War. Prince Philip said of his mother&apos;s sheltering of persecuted Jews, "I suspect that it never occurred to her that her action was in any way special. She was a person with a deep religious faith, and she would have considered it to be a perfectly natural human reaction to fellow beings in distress." In 2010, the Princess was posthumously named a Hero of the Holocaust by the British Government.